Birillo is a collection of bathroom accessories designed by Milanese studio of Piero Lissoni. The minimalist design of this collection reflects extremely refined style of genial Piero Lissoni! This toilet brush with a base in contemporary and sleek look has a form resembling “a false square or a completely false circle,” as Piero Lissoni explains. The stainless steel base perfectly matches the handle of the brush which is made of white PMMA. 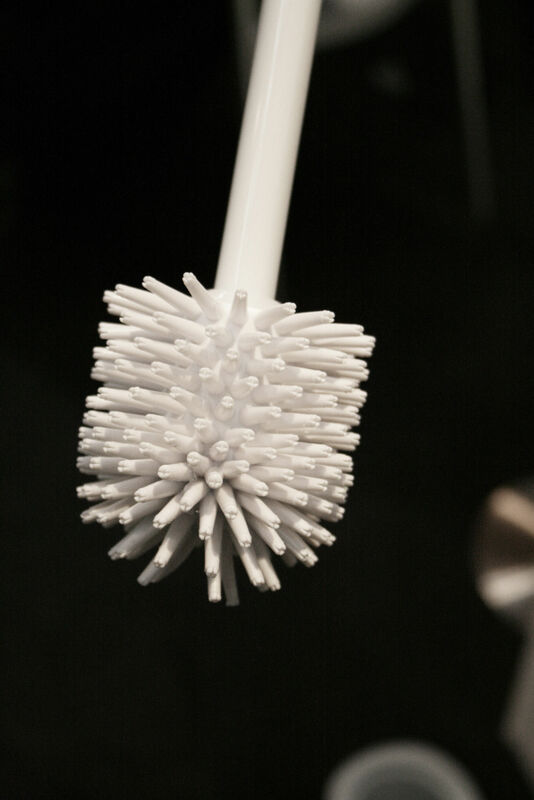 A small lid around the handle aesthetically and hygienically conceals the brush.